When it comes to DUI arrests, many drivers would like to avoid the consequences of their actions. Facing charges of DUI in Los Angeles, they may try to flee the scene (usually unsuccessfully) or find some alternate explanation for a crash. Take the case of 38-year-old Tyrone Walker, who lives in Kodiak, Alaska. He called police on a Sunday evening not long ago to report that thieves had taken his car. But just about that time, police officers also received a report of a vehicle hitting a power pole. Not so coincidentally, the accident took place on the street where Walker lived. Although Walker probably thought he had been very clever, it didn’t take police long to determine that his Ford pickup hadn’t been stolen, and that Walker himself had made up the story after crashing the vehicle. When police showed up at Walker’s, they quickly figured out that he had been the one driving, and that he had allegedly been feeling the effects of excessive alcohol consumption at the time. They ended up charging Walker with DUI, making a false report and failure to notify police immediately after an accident. But not everyone tries to lie their way out of a DUI. An unidentified man in Allegan County, Michigan, took one look at police trying to pull him over and decided not to stick around to talk with them. He sped off along a local highway, eventually making a sharp turn into a parking lot. Once there, he refused to get out of his vehicle. As officers were trying to pry him loose from the car, they noticed open containers of alcohol in the vehicle. They measured the man’s blood alcohol content and discovered it was .22, almost three times the legal limit for driving, which is .08 percent. So the unknown motorist ended up in jail, charged with DUI. 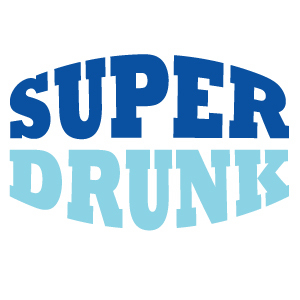 Because his BAC was so high, he fits Michigan’s “super drunk” criteria, meaning he could face harsher penalties if convicted.